and Angus & Julia Stone. It’s all access (and perhaps a bit of excess), all the time. For tickets and to join SPG and Marriott Rewards, visit www.wakeupcallfest.com. 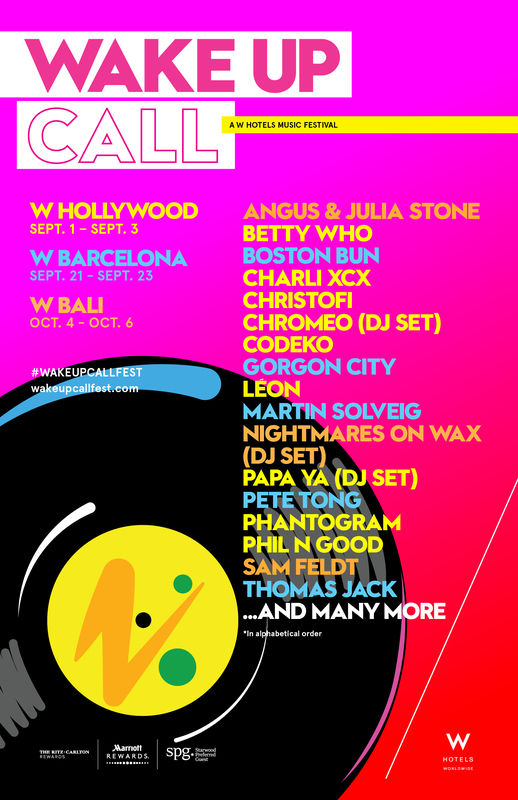 Keep up with us on social using #WAKEUPCALLFEST, @WHotels. Passing on the party? Have no fear, you can still get close to the music. Tune in to SPG’s YouTube channel to catch live performances from every location, exclusive artist interviews, and so much more. Don’t miss a minute. Watch here – https://www.youtube.com/spg.